Follow their Events and offer support. The New Forest Oakhaven Hospice Trust is just outside Lymington and offers specialist care and support both in a hospice setting or at home. Specialist doctors, nurses and psychologists share their expertise, as well as offering support in spiritual and social needs, to those facing life limiting illnesses. Specialist patient care can be offered to patients who have life limiting illnesses, either at Oakhaven in an 8 bed hospice setting, or by offering help and support in their own home with palliative care. Both the patient and their families are offered a wide range of care both during illness and also during bereavement. You can find out more about Oakhaven Hospice Trust Patient Care and how it may help your situation. Fundraising is a vital part of the success of Oakhaven Hospice Trust and support is always needed. There are many Oakhaven Hospice Trust Fundraising Events being held throughout the year. Please support them if you can. 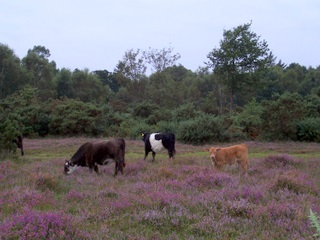 There is going to be a Half Marathon held within the New Forest on Sunday 13th March at 10.30a.m. Marshalls are still needed, please sign up and offer your skills. It will start at Brockenhurst College and is for runners of any level. 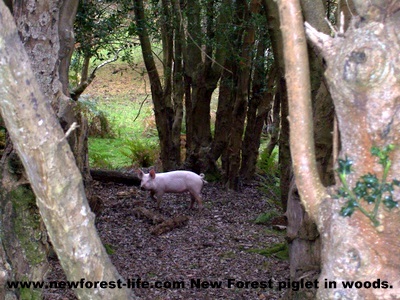 There will also be a chance for 10-12yrs to run 3km and 13-16yrs to run 5km - all organised by New Forest Runners. The Oakhaven Hospice Trust is supported by The Cloud Hotel which is a charming hotel set in a lovely setting in Brockenhurst Village. Guests return year after year for it's warm, friendly and spotlessly clean welcome. The staff are very friendly and are total professionals, the rooms are lovely and most can offer a stunning New Forest view across open forest. If you are looking for a quiet, mature hotel to offer you old fashioned service and quality in a beautiful New Forest National Park setting The Cloud Hotel will offer you charming, award winning hospitality. The owner, Avril Owton, has owned The Cloud Hotel for 35 years and knows what her quests require, to relax in tranquil surroundings.